When Jennifer Ruse lost her mother to ALS, she had the phrase ‘Still I Rise’ tattooed on the inner part of her wrist. It was a meaningful way to represent her mother and embrace her memory. Little did she know, the significance behind those three words would soon apply to her own life and her own battle. 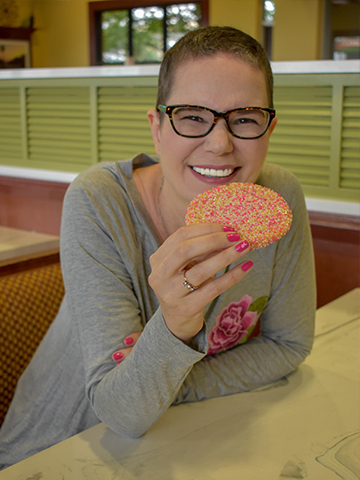 Forty-five days after her mother’s passing, an eight-centimeter tumor was found in Jenn’s left breast; she was diagnosed with Stage III, Grade III, Triple-positive Invasive Intraductal Carcinoma. As a wife, daughter and mother, Jenn was not the only one who received this diagnosis— her husband, father and two boys were equally as affected. It would’ve been easy to allow the devastation from her mother’s death to suppress hope, and it would’ve been easy to allow her own diagnosis to dictate her future. However, after watching her mother attack each day with strength, poise and positivity, Jenn chose optimism, love and courage. She surrounded herself with a network of supporters and approached her battle with an unwavering drive because she had her mother’s example to go by. 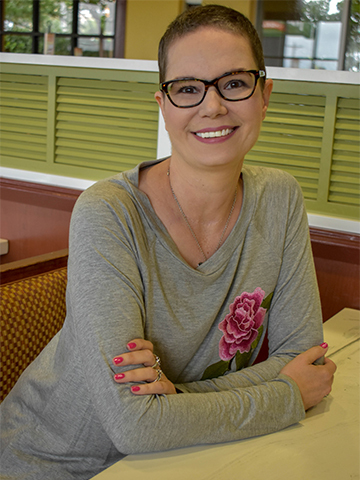 Jenn pushed her way through six rounds of chemotherapy and 34 radiation treatments, while maintaining her full-time job. 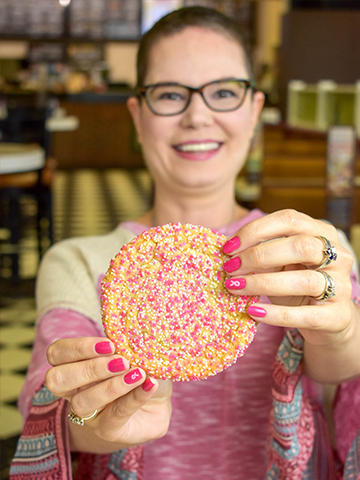 When times were tough, she would tell herself, “Get up, dress up, show up and never give up.” Jenn’s outlook on her diagnosis and treatment played a large role in her fight and subsequent victory over breast cancer. A quote by Indian poet, Rabindranath Tagore, soon became representative of Jenn’s life then and now. 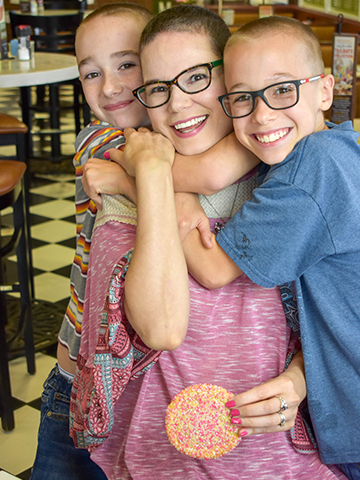 Since her final treatment, Jenn has lived each day with appreciation and gratitude. The “Still I Rise” tattoo on her wrist now sits across from a butterfly tattoo. Both designs symbolize her story and exemplify hope. What was once dark and discouraging, is now radiant and inspiring.